Mali was under a state of emergency on Saturday after a brazen siege by gunmen at a five-star hotel killed 21 people in the heart of the capital, Bamako. A breakaway al-Qaeda faction from the country’s restive north claimed responsibility for the attack. late Friday it was 27 victims dead along with three attackers. “This evening the death toll is heavy and terrible: 21 dead, two [assailants] amongst them and seven wounded,” Keita said. The president cut short a trip to a regional summit in Chad in the wake of the attack. 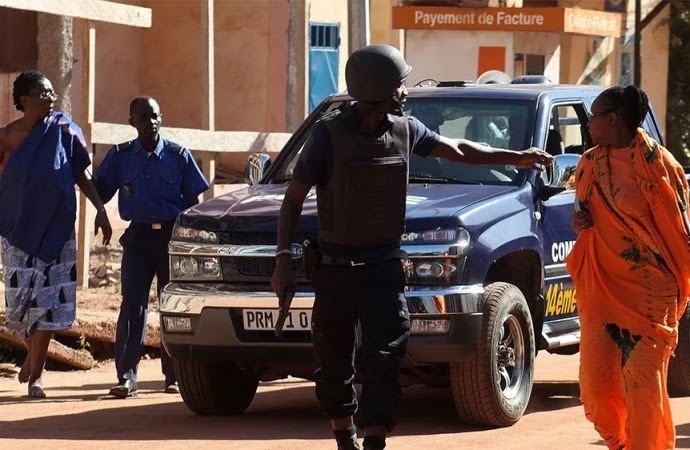 Friday’s assault on the Radisson Blu hotel was the latest in a series of deadly raids this year on high-profile targets in Mali, which has battled Islamist rebels based in its desert north for years. The attack is a sharp setback for former colonial power France, which has stationed 3,500 troops in northern Mali to try to restore stability. Malian, French and US security forces ended the siege after the gunmen stormed the hotel and took about 170 people hostage. US special forces helped rescue at least six Americans, a military spokesman told reporters in Washington. Footage also showed French security forces at the scene and witnesses saw UN troops. President Barack Obama said on Saturday the United States was trying to account for all its citizens at the hotel as he denounced the assault. Gunman shouting “Allahu Akbar”, or “God is great”, opened fire outside the hotel in the centre of the capital before rushing inside. Al-Mourabitoun, an armed group that has had ties to al-Qaeda, claimed responsibility for the attack, saying it carried it out “in coordination with Imarat al-Sahra group and al-Qaeda in the Islamic Maghreb [AQIM]”. The group, in a recording obtained by Al Jazeera, said it would only release the hostages it had taken when its members were freed from Bamako’s prisons, and when what it called “aggression against the people of northern Mali” is stopped.